I’m so excited that the weather here in the Midwest has finally started to change and hope it stays that way. This morning the temps were in the low 50s with highs in the 60s vs. 90s! Even Trek my sick pup has more energy, and wanted to go on longer walks. It’s amazing how weather plays such a large role on our moods. When the weather gets cooler fall cooking mode sets in. Trying not to overdo the whole holiday dessert thing I thought I’d recreate an old favorite of mine. I’m a huge fan of Candied Pecans and have been making and gifting them for years. Nuts in moderation are great for you, each has their merits yet, creating them in high fat, high sugar desserts cancels out those benefits. That said, if you can indulge without over doing it, sometimes just a little is enough to curb your sweet tooth. Nuts are convenient foods that provide several essential nutrients and may have a variety of health benefits as part of a balanced diet. Walnuts provide omega-3 fatty acids. 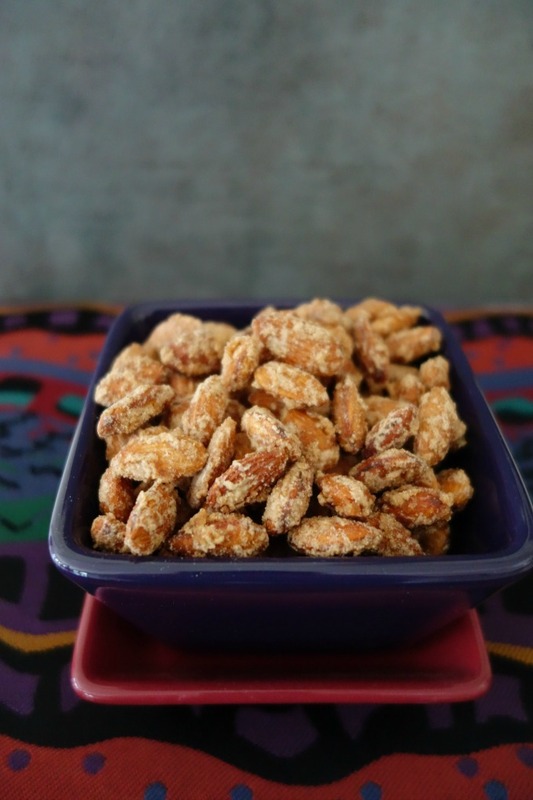 Eating nuts plain and unsalted is best for your body so keep that in mind when trying my recipe for Pumpkin Spiced Candied Almonds below. Regular nut consumption may lower your total LDL cholesterol levels and reduce risk for developing heart disease, in addition to lowering your risk of Type 2 Diabetes. Walnuts help to increase your HDL cholesterol levels since they are high in omega-3 fatty acids. Nuts are also high in fiber, helping to reduce LDL cholesterol levels with Almonds having the highest amount of fiber at 3.5 grams per ounce compared to Walnuts (1.9 grams/ounce) and Pecans (2.7 grams/ounce). Plus, did you know that people who regularly eat nuts tend to have lower body weights than people who avoid them? This may be due to their protein and dietary fiber, which are hunger-suppressing nutrients. Among the three nuts, Almonds have the lowest calories with 163 per ounce, walnuts 175/per ounce, and pecans 196/per ounce. Although the differences may not seem great, moderation is key to a healthy diet when eating high calorie foods. Why am I sharing all this information with you? Knowing the benefits behind certain foods can make a difference in how you eat them, or if you eat them. 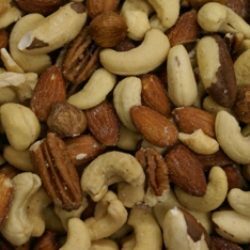 Enjoying a handful of plain unsalted nuts everyday can do the body good. Eating a few of my Pumpkin Spiced Candied Almonds, or Candied Pecans in moderation is fine, IMO, just like any treat. With the holidays quickly approaching, there’s no need to deprive yourself of luscious treats but, try to be cognizant of the foods you eat. while enjoying time with family and friends. Then when 2017 arrives you’ll feel healthy inside and out, and be ready to take on the New Year! I hope you enjoy my Pumpkin Spiced Candied Almonds. Not a fan of pumpkin spice? 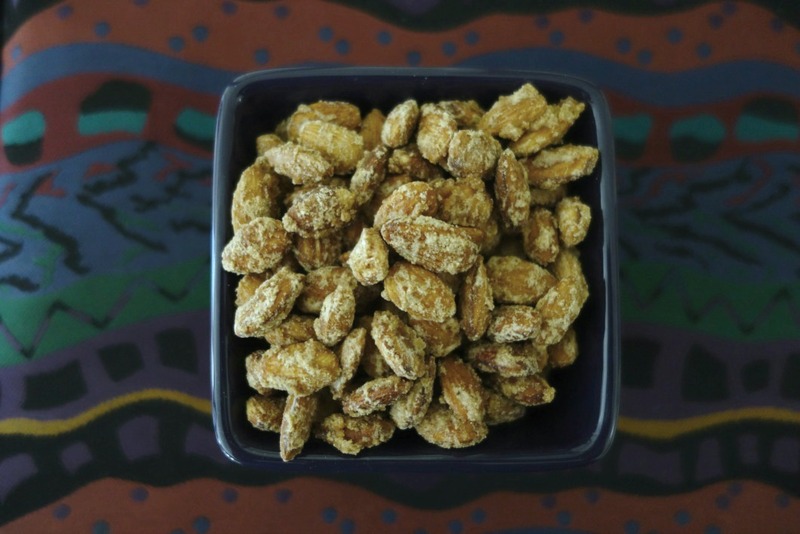 Simply leave it out, and enjoy Candied Almonds!………………………..
A delightful treat for yourself, to serve at a party for guests to nibble on, or to give as gifts - quick & easy to make! Pumpkin Pie Spice: Combine ingredients together to blend. Combine first 3 ingredients in a medium saucepan. Cook over medium heat until sugar dissolves, stirring constantly (about 4 minutes). Add almonds and vanilla, cook until all syrup is absorbed and almonds are coated, stirring constantly (about 12 minutes - will have powdery coating). 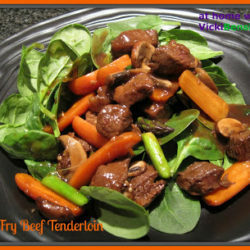 Cool completely then store in airtight container or serve. Notes: Use ready made Pumpkin Pie Spice or Pure Vanilla Extract or make your own for a fraction of the cost. They look awesome! They would be a hit in our home too. Thanks Angie and they’re so quick & easy to make. I can’t believe the batch I made is almost gone. They’re so good! Thanks John. I hope you enjoy them if you make them. Oh the recipe would taste great with pecans. How will you use all those pecans up before going bad. I’d love to hear what recipes you’re going to be making. LOVING the new site look, Vicki! 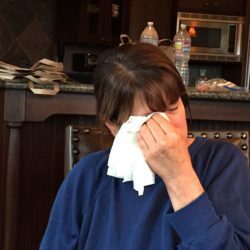 I was so sorry to hear about Trek. I’m glad you got to enjoy a few cool weather days with him. 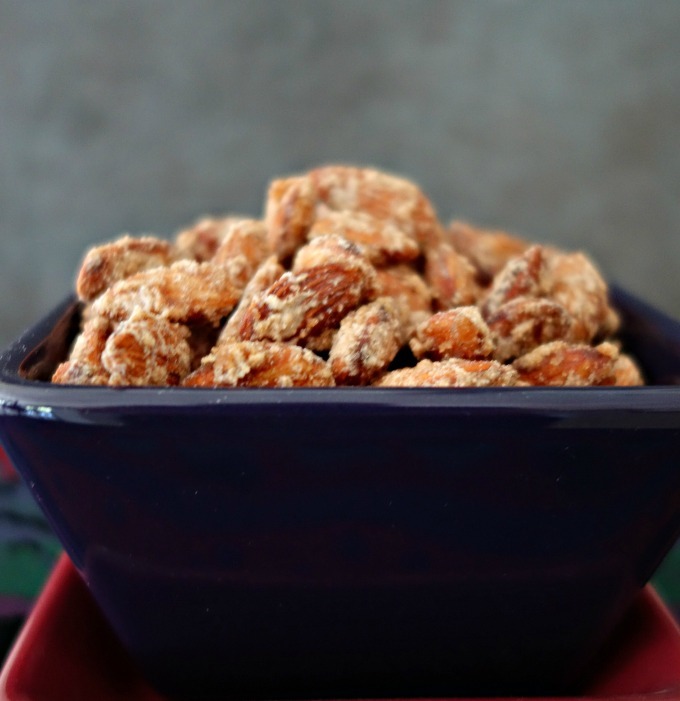 I love, love, love candied almonds. They take me back to my days of working at Walt Disney World. The shops I worked in were right next to one of the nut carts, and one of my best friends worked it. Lots of inappropriate jokes (college kids, amiright?) about Kyle’s nuts were said throughout that internship. 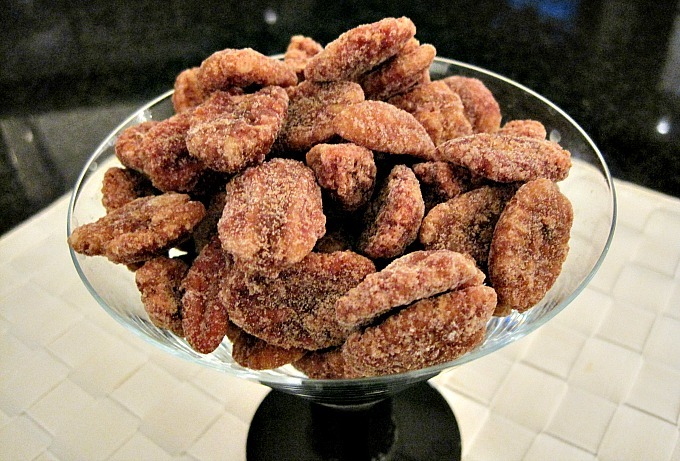 But I’ve always loved the candied almonds there, and the idea of a pumpkin spice version is a fantastic idea. 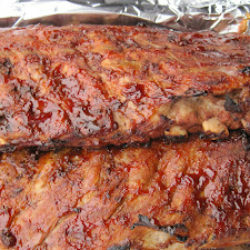 I’m definitely going to make these this weekend! Thank you Amber about my site and Trek. I had a difficult time with the fact I put him down and my other pup is so sad it breaks my heart. We will get through it though. Your Kyles but story sounds like it was fun times at Disney World. I hope you enjoy the almonds if you try them.